I have a secret. I really love fussy cutting. No... for reals, though. I mean, I am ALL about the dies. (Go ahead...take a moment to turn 'All About the Bass' into All About the Dies in your head...I'll grant you that moment.... Done? K. Good. Fussy cutting....), but sometimes it is just plain FUN to do some good old fashioned machine-free fussy cutting. And that, my friends, is what I had in mind when I created this card. 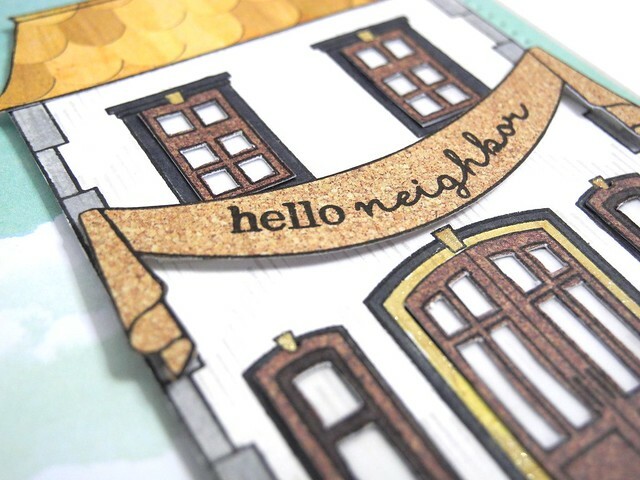 I used the amazing sThis Awesome House stamp set from Winnie and Walter along with a bunch of different Crate Paper papers to bring this all together. 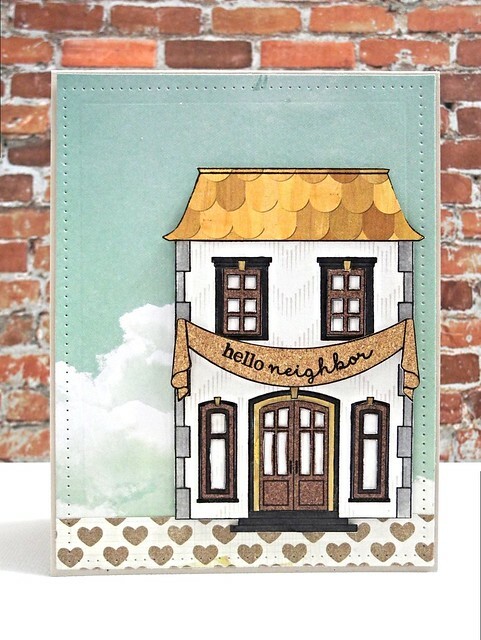 I love how the patterns all come together and create this adorable little house! I also made sure to keep the colors neutral so this card could easily be used for anyone! I placed bits of vellum behind each of the window panes to give them a more glass like look and to prevent the house pattern from showing through. I also used a gold Wink of Stella to add some gold in some areas and Copics to add the grey toned stones. The background was created by first layering the patterned papers and then cutting them with the Spellbinders Pierced Rectangle dies to get that great pierced and embossed border. I love how that finishes it off so fabulously and gives definition to the patterned paper edges. And that's all for today, folks! wow! every bit of this is so cool! This card is amazing! Love all of your paper piecing! Great choices of paper for this project. You've created a very happy and inviting house! I totally agree with you. Fussy cutting is cool. Not something you want to do to make multiples but definitely when you want to make something extra special. Your card is awesome. I totally agree about the fussy cutting. It's cathartic and I love how detailed you got with it in this card. Totally pays off. That pattern for the roof, genius.